Sign up to Walk In Her Shoes today and help women and girls out of poverty. 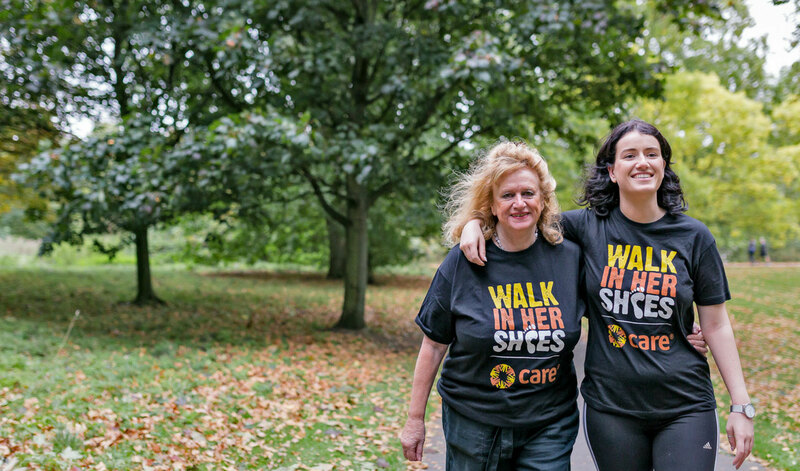 We want you to walk 10k steps a day for a week for CARE International UK. 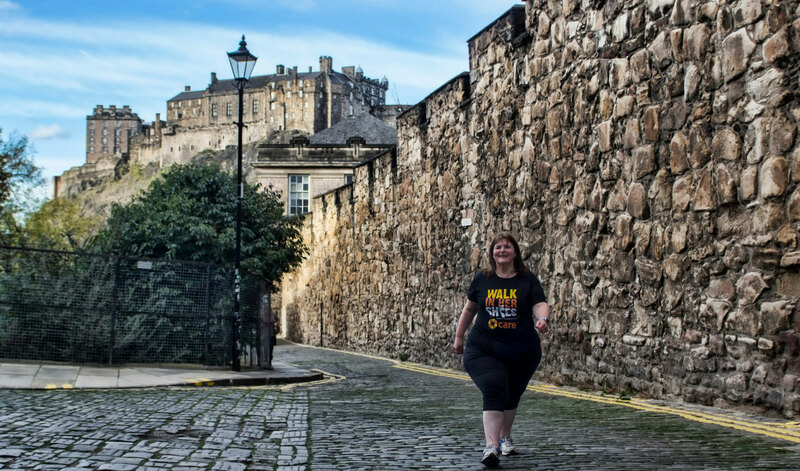 Register for just £5 and raise £100, and by walking 10k steps (that’s about 8km/5mile) a day, you can make a real difference to the lives of women and girls living in poverty around the world. So, grab your buddy or your buggy, your sister or your mister, team up with anyone you fancy, or fly solo if you like. But join us for Walk In Her Shoes 2019! Every day thousands of women and girls, all over the world, have no choice but to walk many miles to fetch water for their families. Water that is often dirty. Their daily routine deprives them of the chance to have an education, a job, and traps them in a cycle of poverty. The money you raise can help build wells and water pumps closer to rural communities so that women and girls don’t have to spend their days walking for water, and can plan for a better future. Projects run by the money we’ve raised have helped bring water to communities all around the world. In Amhara, Ethiopia, CARE’s LEGAS Water, Sanitation and Hygiene Project built or rehabilitated 1,479 water points in rural communities, providing safe and adequate water access for 302,192 people. 80% of households there now travel less than half an hour to get water. This has led to an increase in girls’ school enrolment, improved school performance and reduced incidences of violence against girls collecting water. The money you raise can really help change the lives of women around the world. 1. 10k steps a day for a week. How far is that? Based on the average person’s walking stride it is 8 km or 5 miles. On average it can take 10-12 minutes to walk 1km or 0.6 miles. If you feel this distance is too challenging, or not challenging at all, then simply choose a distance that you’re more comfortable with. 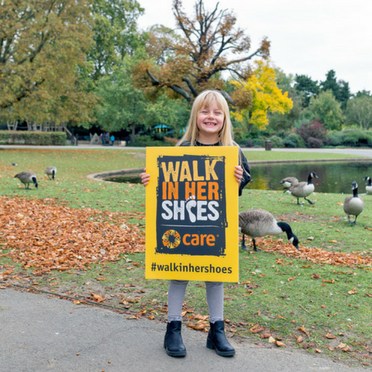 Walk In Her Shoes is open to all ages and abilities. If you're under 18 and would like to take part, we would recommend registering to take part with a parent or guardian as well. 3. Can I register as a group? The bigger the group, the bigger the difference we can make together! 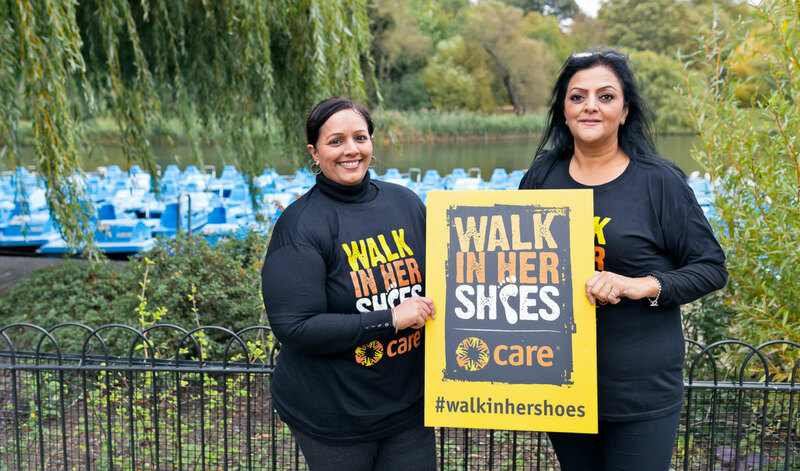 Everybody is welcome in taking part in Walk In Her Shoes, from church groups to Rotary Clubs, Girl Guides to companies, etc. Each member of your group needs to sign up online individually and mention the name of your group in the registration form. If you are a teacher and you'd like to get your school involved, visit our fundraise with your school page. 4. Can I take part another time? Most of our supporters will take part from 6-12 May 2019, but you can take part at any time of year. Choose when you'll walk, and invite your friends to join you. 5. I’ve never fundraised before. How much do I need to raise? We ask each participant to raise £100. The easiest way to reach your target is to gain sponsorship from your friends, family and colleagues and spread the word online. Get some inspiration from our Fundraising Toolkit. For more detailed information, visit our FAQs page.